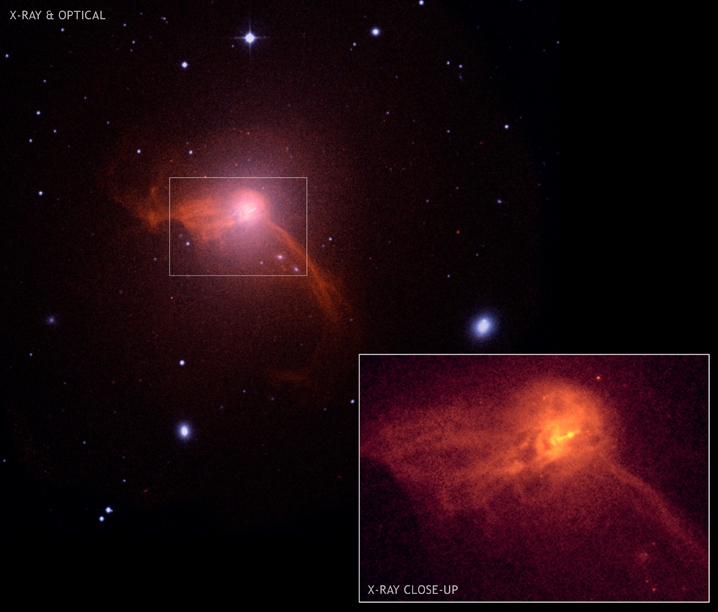 A long Chandra exposure of M87 has revealed a shock wave in high-energy X-rays as well as evidence for a series of outbursts from the central supermassive black hole. 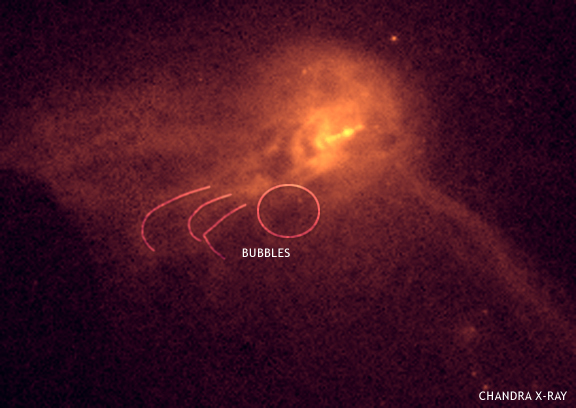 The image shows a series of loops and bubbles in the hot, X-ray emitting gas. These are relics of small outbursts from close to the black hole. Other remarkable features are seen in M87 for the first time including narrow filaments of X-ray emission, which may be due to hot gas trapped to magnetic fields. 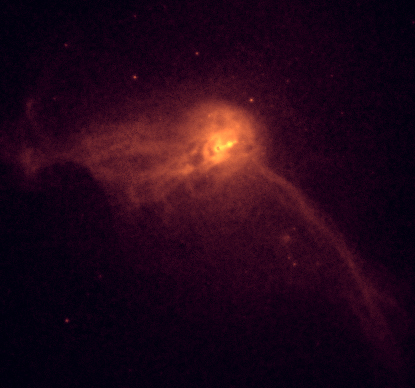 One of these filaments is over 100,000 light years long, and extends below and to the right of the center of M87 in almost a straight line. 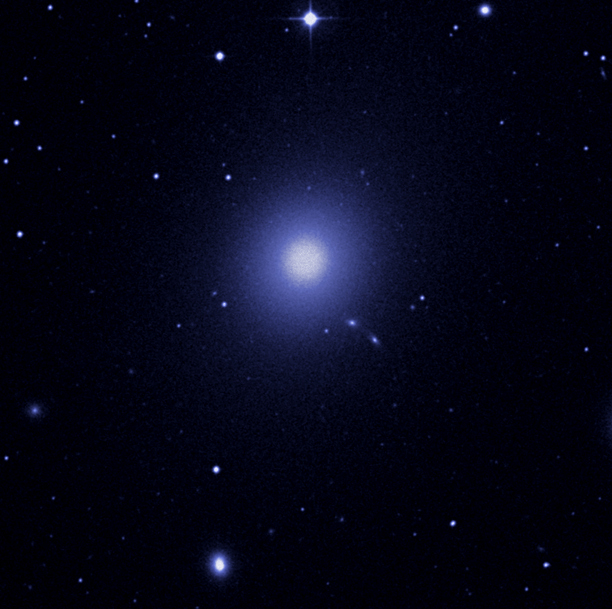 This Chandra image of M87 shows high energy X-rays. 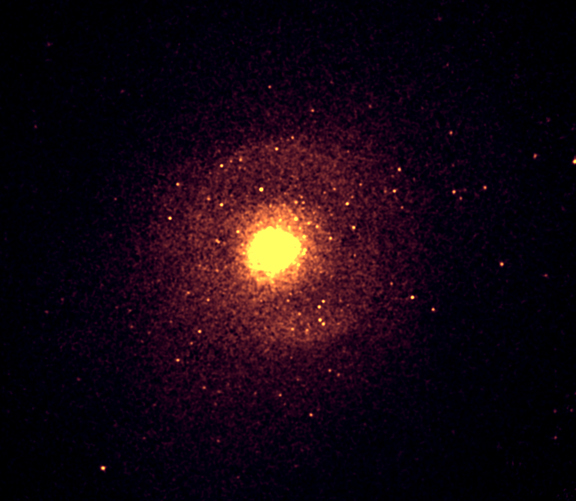 The faint, outer ring is about 85,000 light years across and gives an unambiguous signature of a weak shock wave (like a sonic boom) generated by an outburst from the supermassive black hole at the center of M87. The properties of the shock, including the change in temperature and density in the gas, are consistent with classical physics. The bright yellow, inner ring may be the gas just outside the "piston" that is powering the shock further out, and the ring in the middle was probably produced by another outburst. 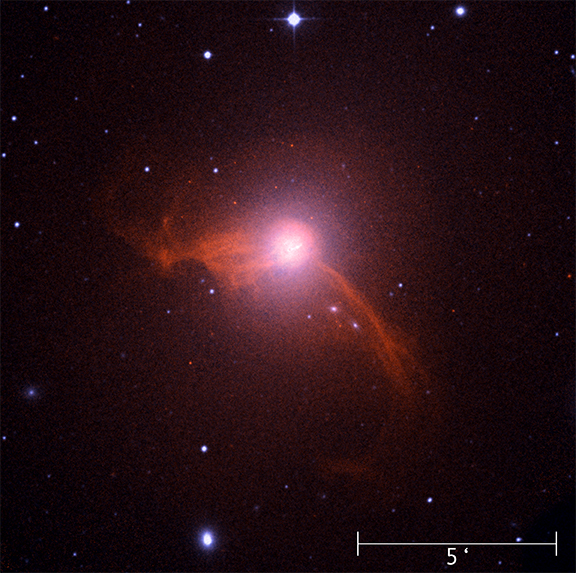 This image from the Digitized Sky Survey (DSS) shows the elliptical galaxy M87 in visible light. M87 is 50 million light years away in the Virgo cluster. A gigantic sonic boom generated by a supermassive black hole has been found with NASA's Chandra X-ray Observatory, along with evidence for a cacophony of deep sound. This discovery was made by using data from the longest X-ray observation ever of M87, a nearby giant elliptical galaxy with one of the most massive known black holes.